Last month we asked you what is it that brings you to State of Digital. For the entire month of June you could answer this question in our poll in the sidebar or on our polls-page. There were quite a few that were nice enough to answer this question (almost 200!) so that was a nice start of our montly polls! So what does bring you to State of Digital? Are you curious about what brings the average reader to State of Digital? Well here it is: most of you are here because….. you want to learn! Almost half of you are here for that reason. Which of course we love, because that is what we want, help marketers become better at what they do! 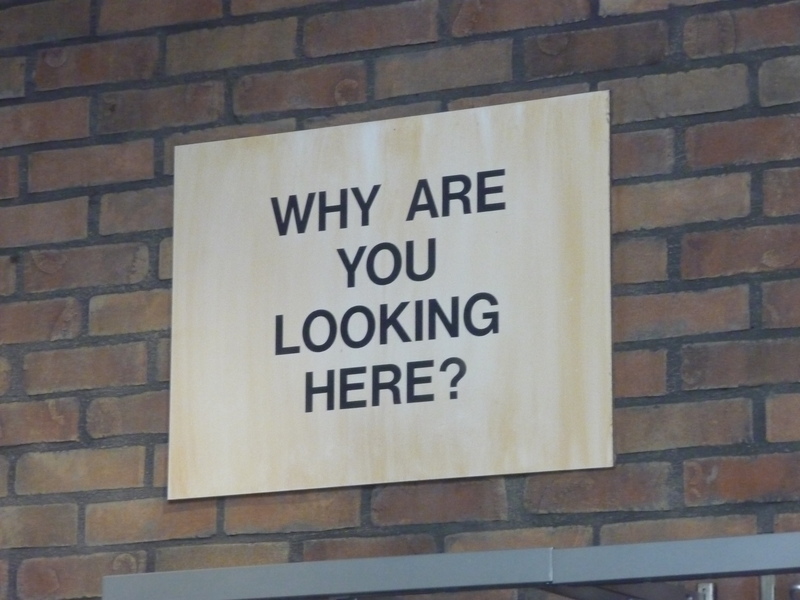 But that isn’t the only reason you are here. 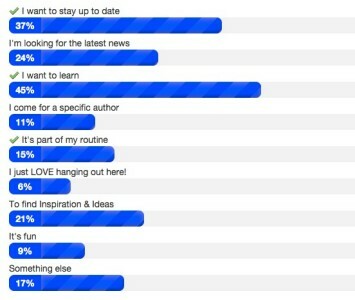 37% of you wants to stay up to date on what is happening and 24% of you are actually looking for news and 21% is here to get inspired. What we also liked is that 1 out of 10 is here for a specific author, which is great, and no doubt we’ll ask you at one point who your favorite author is ;-). Our new poll: how do you learn? And yes, July has started, so we have a new poll! This month we want to elaborate a little on the answers above. And specifically on the learning aspect. We would like to know what your prefered way of learning is. Do you learn through blogposts? Webinars? Training sessions? Share how you like to learn! We are looking forward to your answers! Remember, you can always see and answer the other polls here!